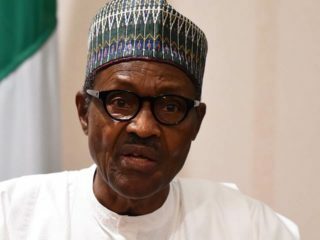 It would certainly take some time to heal the wounds and perhaps change the psyche of the South East people about President Muhammadu Buhari; on the way they have been treated in the past 18 months by his administration. Although the President had, since he took the reins of power made decisions, appointments among others, these seems to have fallen below expectations and confirms age-long notion of his being an Igbo exclusionist. The Igbos apex socio-cultural organisation, Ohanaeze Ndigbo had postulated last week that Ndigbo are not happy with Buhari, insisting that Mr. President’s actions, policies and utterances negate the principle of fairness, justice and equity, which is not good for a leader. The Secretary General of the Igbo apex group, Dr. Joe Nworgu noted that marginalisation of the zone, which started since the end of the Nigeria-Biafra war in 1970 had exacerbated under the administration of Buhari, adding that the President was acting to provoke Ndigbo into taking a step that could justify a clampdown on the people of the zone. In what looked like an appraisal of Buhari’s administration style, Nworgu said, “Nothing has changed. He has vindicated our earlier position. We know him very well; this is not his first outing. He was there from December 1983 up to August 1985. What did he do? “The same Buhari in 1983 placed the former President, Alhaji Shehu Shagari under a house arrest while his vice, Dr. Alex Ekwueme, who had no constitutional functions, was sent to prison. Igbo took note. “He was given Director, Petroleum Trust Fund (PTF), what did he do? Have you checked the allocations of PTF? 66 per cent of the petroleum money went to North West; he gave the South East zone just 6.2 per cent and with that pedigree, what will encourage Igbos to say, please come on? He averred that Buhari’s policies toward the Igbo are provoking “us into taking a wrong step for him to find reason to clampdown on us. So we are advising our youths to calm down. It is obvious that from the mindset of Mr. President, Ndigbo should not play a role in the country. When he did his 32 appointments, I advised that he needed to be the President for all Nigerians because nepotism is corruption. Till today, nothing has changed. The Ohanaeze chieftain insisted that Buhari has excluded Ndigbo and had continued to exclude them from the mainstream of affairs of the country, explaining that such had provided opportunity for him not to know the sufferings of the people of the zone. Perhaps restating the position of the Igbo Improvement Union (IPU), a socio-economic, political and cultural organisation of Igbo speaking people in the five South East states, Rivers and Delta states, which met in Enugu for their end of year meeting, he posited that the deprivation of Igbo was written all over. Although, the IPU meeting was not a political gathering, it, however, discussed issues of governance and expressed dismay about ecological devastation that had continued to ravage the zone with alleged silence on the part of governments over the menace. They felt the silence was another tool to deal with the Igbo economically. And evaluating the situation, they expressed serious concern that the ecological devastation of Igboland particularly the erosion menace was being compounded by over-grazing by Fulani herdsmen, excessive deforestation, bush burning by hunters/farmers and indiscriminate excavation and unregulated building activities by quarries, government contractors among others. The group further viewed with dismay the recently released report by the Amnesty International, wherein over 150 Igbo Youths were allegedly killed through extra-judicial means by the Nigerian security forces and demanded immediate commission of inquiry to fish out and punish the perpetrators of the dastardly act. A one-time governorship candidate in Enugu State, Chief Ugochukwu Agballah, who read the communiqué of the meeting, said it was time Ndigbo looked inwards to find ways to solving their problems than hoping on the Federal Government, even as he called on the governors of the zone to quickly regulate the activities of land excavators and prosecute offenders. They lamented the devastating erosion in the zone, especially in Anambra, Ebonyi, Abia and Imo states. 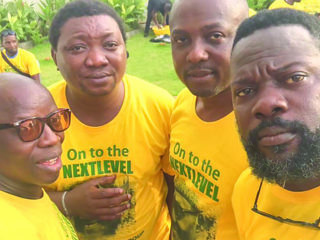 They argued that it was time to exhibit pictorially the erosion sites in order to draw local and international attention to the menace, which they said was ravaging the ecology of the South East. As an interim measure, the Igbo Improvement Union resolved to plant five million cashew seedlings from 2017 onwards in partnership with communities ravaged by erosion in order to checkmate erosion and also economically position it as the largest producer of cashew nuts, not only in Africa, but the entire world. According to the group, “It is pertinent to note that other environmental/ecological hazards in the country like desertification in northern Nigeria and crude oil pollution in the Niger Delta have all received national and international attention and redress unlike the erosion menace which is currently ravaging the entire South East, which is yet to receive necessary attention from the federal government,” the group noted. 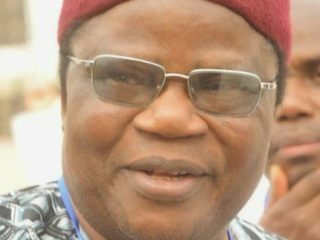 Similarly, the lawmaker representing Anambra state federal constituency of Anaocha, Njikoka and Dunukofia, at the House of Representatives, Dozie Nwankwo at the weekend raised alarm over the daily threats by gully erosion on their farmlands, cash crops and other means of living. It was gathered that no fewer than 80 families in the state have been rendered homeless by the ravaging erosion and landslide in the area, necessitating his call on the House Committee on Environment to visit the area for an on the spot assessment of the environmental degradation menace. According to him, multiple gullies have destroyed many lives, families, churches, schools, markets and other public utilities in the area, including his country home, which presently hangs on the cliff in Enugwu Ukwu in Njikoka council area. He stated that the visit would help the lawmakers make better input with regards to the 2017 national appropriation bill and beyond, with a view to making appropriate and adequate logistical provisions for the control. However, the Minister of Labour and Employment Dr. Chris Ngige does not see Buhari as the problem of the South East. 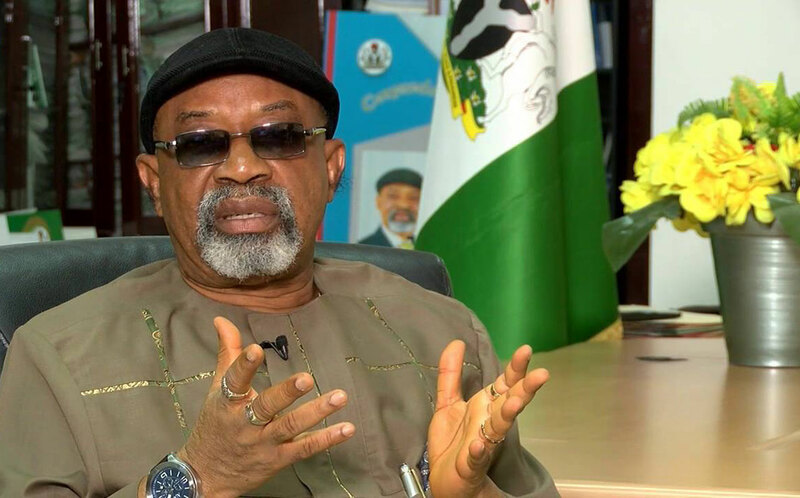 Ngige, who had earlier held the position that Igbo problems were there before Buhari, disagreed with Ohanaeze Ndigbo that Mr. President was promoting politics of exclusionism against Ndigbo. Speaking at an event he attended in Enugu, Ngige noted that contrary to the statement by Ohanaeze, President Buhari’s antecedents show that he loves Ndigbo and warned that the South East people should stop engaging in politics of alienation, but instead, embrace other parts of the country with open hands. According to him, “I am sure the statement did not emanate from Ohanaeze. It is the personal opinion of the Secretary General, Dr Joe Nwaorgu, my personal friend. Ohanaeze has a means of expressing its views in a press statement by the President General and such a statement must emanate from Imeobi (inner caucus). “When you go to Buhari’s antecedents, you see his love for Igbos. His Brigade Commander was an Igboman. After the war, he did not kill Prisoners of War (POW). He brought back his classmates, J.C. Ojukwu and the other man from Ojoto in Anambra State. He is a good man. He keeps to himself. He is disciplined in office. The minister continued: “We got 20 pounds after the war. We should leverage on our prosperity, industrial spirit, ingenuity and propensity for work to forge ahead. We need political fitness and diplomacy and we will not be left behind. He noted that there was an understanding that the presidency would go round and Ndigbo could get their turn by embracing other parts of the country with open hands and not politics of alienation.